Embattled liquor tycoon Vijay Mallya is reportedly living off his partner, his personal assistant, a business acquaintance and his adult children, the London high court was told on Wednesday. According to The Times of India, the court was told that Mallya’s has just Rs 2,956 crore left in personal assets, all of which he has put towards his settlement offer in the Karnataka high court. Mallya on Wednesday faced yet another legal battle to prevent a consortium of Indian banks led by State Bank of India (SBI) getting access to nearly 2,60,000 pounds in a UK bank account. The 62-year-old is contesting an interim debt order obtained by the Indian banks in January this year, which relates to funds in the former Kingfisher Airlines boss' current account with ICICI Bank in London. Mallya’s lawyers told SBI that their client is willing to cut his spending to 29,500 pounds a month, Mint reported. Mallya is currently spending about 18,300 pounds a week. "The hearing concerns an interim third-party debt order obtained by the banks in January and relates to funds worth just short of 2,60,000 pounds in Dr Mallya's current account with ICICI Bank in London," said a spokesperson for TLT LLP, the law firm representing the Indian banks. 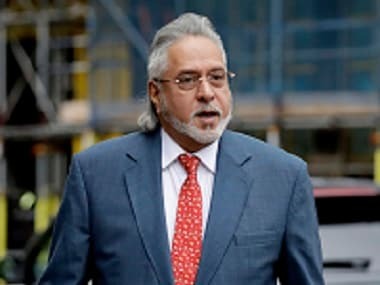 In a ruling in May last year, a UK High Court judge had refused to overturn a worldwide order freezing Mallya's assets and upheld an Indian court's ruling that the consortium of 13 Indian banks was entitled to recover funds amounting to nearly 1.145 billion pounds. Mallya, meanwhile, remains on bail after his extradition was ordered by Westminster Magistrates' Court in London in December last year and signed off by UK home secretary Sajid Javid in February.